American author, educator and social activist Jonathan Kozol will lecture at Washington and Lee University on Dec. 6 at 7 p.m. in Stackhouse Theater, Elrod Commons. The title of his talk is “Education, Poverty and Social Justice in an Age of Persistent Inequality.” It is free and open to the public. “In the face of alarmingly high rates of child poverty and persistent inequality in those basic human services upon which low-income families must rely, it falls, as always, to our nation’s public schools to assume the mantel of protector and defender of those who suffer most and for no fault of their own,” said Kozol. “But unhealthy pressures placed upon our schools to limit education to that which can be measured on obsessively repetitive standardized exams have rigidified instruction, amputated cultural capaciousness, suppressed the joy of learning for its own good sake alone, and dealt a heavy blow to the autonomy and creativity of far too many of our most devoted teachers,” Kozol continued. A widely read, highly honored education writer, Kozol has been an eloquent advocate for children of low income and for racial diversity in schools and universities. He has been speaking to overflow crowds as child poverty has risen to unprecedented levels and racial tensions have become the focus of urgent political concern. He has been working with children in inner-city schools for nearly 50 years. 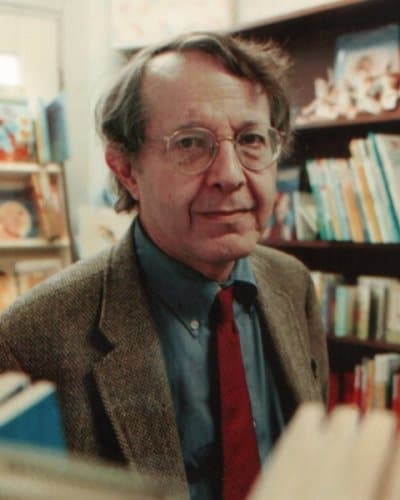 Kozol has received many awards, including the National Book Award for “Death at an Early Age” (1967), a description of his first year as a teacher; and the Robert F. Kennedy Book Award for “Rachel and Her Children” (1989), a study of homeless mothers and their children. His 1995 best-seller, “Amazing Grace: The Lives of Children and the Conscience of a Nation,” received the Anisfield-Wolf Book Award in 1996, an honor previously granted to the works of Langston Hughes and Dr. Martin Luther King. Kozol’s most recent book on childhood and education is “Fire in the Ashes” (2013), a sweeping narrative that follows a group of children in a destitute community out of their infancy and elementary grades, through their secondary years, into their late teens and beyond. His newest book is “The Theft of Memory: Losing My Father, One Day at a Time” (2016), in which he tells the story of his father’s life and work and how he worked with him through the onset of Alzheimer’s and his slow descent into dementia. Kozol’s lecture is sponsored by the Mudd Center for Ethics, the Office of the Provost, the Nabors Service League, Teacher Education and the Economics Department.